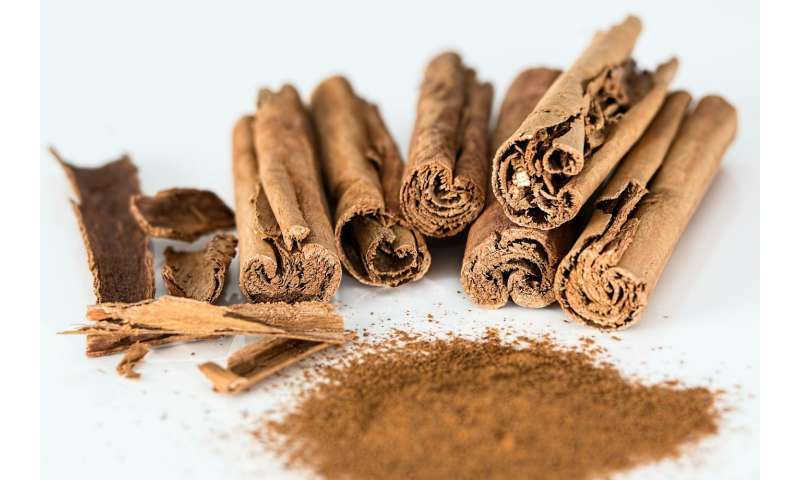 The effects of cinnamon are known for https://www.ncbi....17563345 already. The extracts of piper, curry, garlic (Allium sativum) or safron have similar thermogenetic effects. Dry mustard powder and ginger as well.